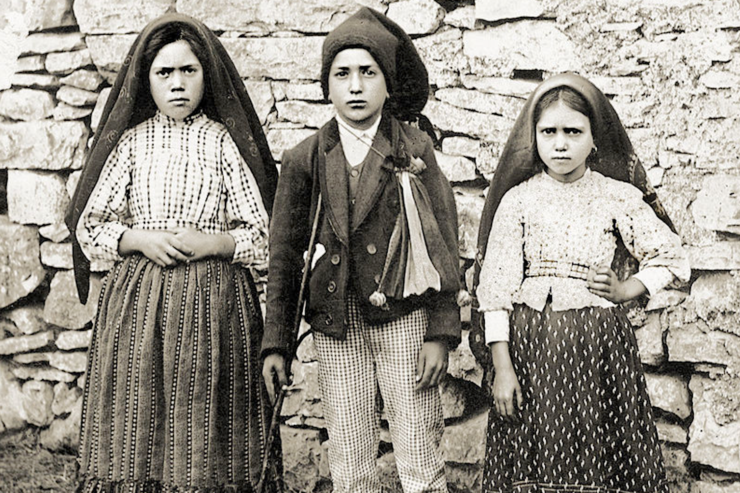 The Holy Father Francis has convoked an Ordinary Public Consistory for Thursday, April 20, for some Causes of Canonization, among which are those of Francisco and Jacinta Marto, two of the little shepherds who witnessed the apparitions of Fatima. The news was published by the Holy See Press Office this Tuesday, which indicated that the date of the meeting of Cardinals has been established three weeks before the centenary of the Marian apparitions and of the Pontiff’s trip to the Fatima Shrine on May 12-13. A Public Consistory is a meeting of the College of Cardinals, called by the Pope in the Vatican, to help him in the government of the Church. At this meeting, the Cardinals give their “placet” to the Holy Father for the Causes of Canonization. In this case, it is an Ordinary Consistory, that is, it convokes the Cardinals resident in Rome. This news was much awaited among those devoted to Mary, to the point that the Bishop of Fatima and the Rector of the Shrine said weeks ago that they were expecting the Canonization of both shepherds who, together with deceased Sister Lucia – the diocesan phase of whose Beatification is underway – took part in the heavenly event in 1917. The other Blesseds who will be canonized are Brazil’s proto-martyrs Father Andrea Soveral and Father Ambrogio Francesco Ferro, layman Mateus Moreira and 27 other companion martyrs. In addition, Cristobal, Antonio and Juan <will be canonized>, the “Children Martyrs of Tlaxcala,” killed in Mexico out of hatred for the faith between 1527 and 1529. Faustino Miguez, Religious of the Order of Clerics Regular of the Mother of God of the Pious Schools will also be canonized, who, ordained priest, founded the Calasanctius Institute of Daughters of the Divine Shepherdess, for the integral education of women. Angelo Acri (in the world Luca Falcone) priest of the Order of the Friars Minor Capuchin, and Francisco and Jacinta Marto, the little shepherds of Fatima, will also be canonized. The Convocation reads that “in the Hall of the Consistory of the Apostolic Vatican Palace, the Holy Father Francis will preside over the celebration of Tierce of the Ordinary Public Consistory for the Canonization of the Blesseds.